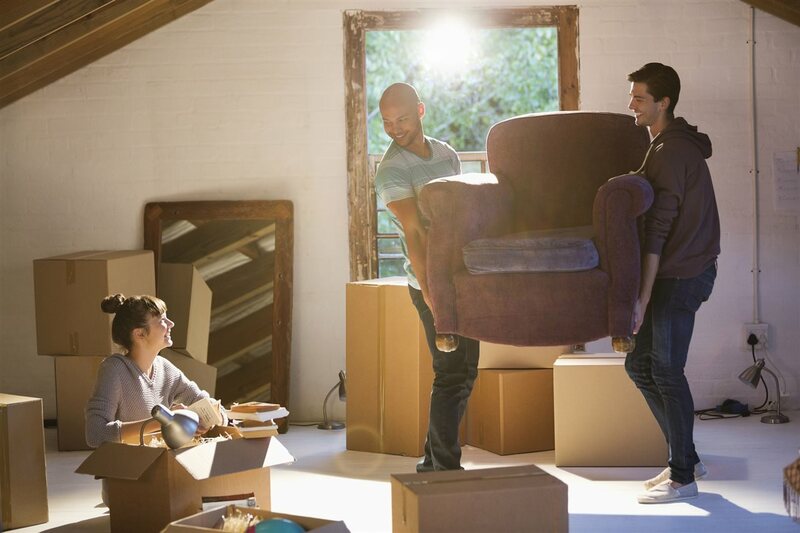 Changing residences can call for the coordination of a lot of details, and that’s especially true if you’re a do-it-yourselfer who’s renting a truck rather than hiring a moving company. Though the U.S. Census Bureau estimates the average American changes homes 11.4 times in his lifetime, many of us never take time to think about the potential safety hazards involved. Usually we’re way more focused on the challenges of figuring out all the logistics, packing up our possessions in logical fashion and starting the psychological adjustment of having a new place of residence. Still, it’s important to take a moment to think about best practices for the safety of you and your family as you plan your move. For Keller homebuyers or sellers, consider taking the following steps toward a safe and organized moving process. 1. Assign roles. Organize your packing and loading crew so everyone knows his role. Your work will be much more efficient — and you won’t get in each other’s way — if your friends and family members are each assigned a task according to their physical capabilities. As a side note, you may wish to keep small children completely off-site so the adults can focus on the often-physical work at hand. 2. Choose a reputable rental company. Secure your moving truck from a reputable dealer, then follow its specific instructions for safely packing and driving the vehicle. Look for a clean, reliable, well-maintained vehicle every time, with a range of available packing and moving tools and the peace of mind that comes with 24-hour roadside assistance. 3. Optimize tools. Use dollies, hand trucks, harnesses and/or multiple people to lift boxes that weigh more than 50 pounds. If you’re a do-it-yourselfer you may take pride in being able to handle any chore yourself, but you need to remember you'll be self-sufficient no longer if you sustain an injury from trying to be superhuman. 4. Lift correctly. When picking up anything even moderately heavy, avoid back injuries by keeping your back vertical and your chest forward. Draw the item as close to your body as possible while bending at the knees and lifting with your legs, avoiding bending horizontally as you straighten. 5. Be aware of obstacles. When moving items out of your house and into your vehicle, watch for items that could trip you or get in your way, such as low-hanging obstacles, ground protrusions or surfaces that are wet, slick or uneven. Wear close-fitting clothing that can’t be snagged and choose durable footwear that offers both support and traction. The DIY moving process need not be difficult or risky as long as you plan ahead and take a few precautions. Using this advice, new Keller homeowners can thrive on their moving day. What's Causing Attic Noise in Your Keller Home?